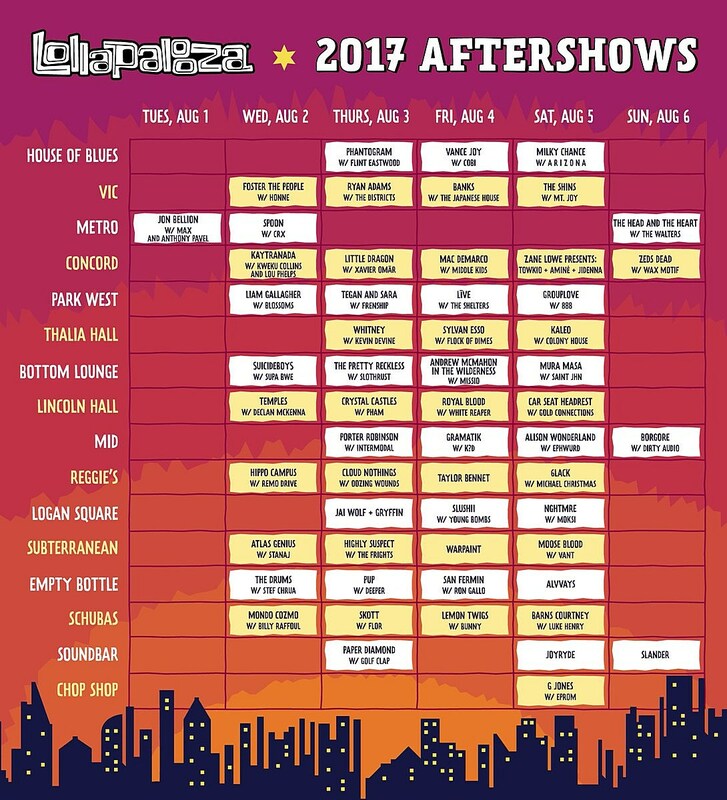 Lollapalooza is coming up in August (see the set times). Along with the festival itself, which runs from August 3-6 in Chicago’s Grant Park, there are official aftershows from artists playing, including Ryan Adams, Spoon, The Shins, Kaytranada, Tegan and Sara, Cloud Nothings, The Lemon Twigs, Mac DeMarco, Sylvan Esso, Warpaint, and more happening from August 1-6. Venues include The Vic, The Metro, Lincoln Hall, Thalia Hall, Empty Bottle, and Schubas, among others. There are 57 aftershows altogether; see the highlights listed below, or browse the full list. Tickets go on sale Friday, June 2 at 10 AM CT.